La Prairie White Caviar Illuminating Serum: A serum to treat dark spots and uneven coloring. Key actives for anti-pigmentation include: golden caviar extracts, tomato fruit extract, larch tree extract, and white tea complex. I make it a point to call this out because La Prairie is one of the most scientifically advanced high-end skincare brands and many detractors of the ‘natural skincare’ movement say natural products aren’t ‘effective’ which just isn’t true as it’s the base of active ingredients in nearly ALL skincare. 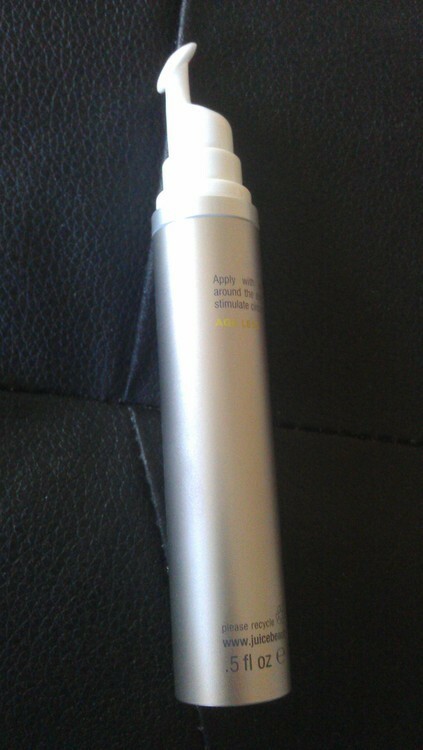 This is a light serum that seems to have shiny glitter in there. I seriously thought I was going to have sparkly skin a la Twilight vampires when I first used this. Fortunately the serum disappears upon contact. At $450 for 1oz, I expected miracles, as should you. I was disappointed to see that the top 3 ingredients in this formula are water, glycerin, and alcohol, followed by silicones. This is kind of the typical layout of ingredients you’ll see in many top-tier ‘premium’ brands in department stores. I wish that good ingredients like their active form of Vitamin C could be more concentrated as that seems to be the key method they’re using to lighten skin pigmentation. So as expected this serum is beautiful to look at but unfortunately didn’t really deliver long-term benefits. Ahava Mineral Body Lotion: I am really enjoying this body lotion. At $24 for 8.5oz, there is a lot to like in this simple, but well made cream. The scent is lovely as is the texture, this is the kind of stuff clinical trials are made for as every sense is pleased with this lotion. The actual results are very typical and will be similar to what you’ll find in products that are cheaper and more expensive as the ingredients are very traditional: Water, Alcohol, Emulsifiers, etc. The good ingredients like Aloe Vera and Witch Hazel are in the middle of the pack, but I’d like to see them higher as I think it might make this mix more hydrating, soothing, and skin softening as it’s actual results now leave it in the “typical” range. 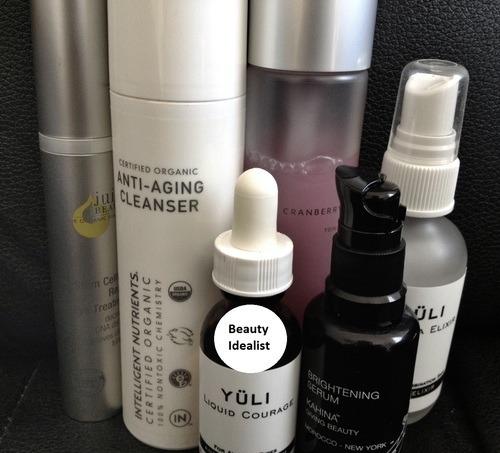 Juice Beauty Cleansing Milk: So first impressions – Tata-freaking-Harper! This formula reminded me so much of Tata Harper’s Refreshing Cleanser, from the texture to the scent to the way the product glides on the skin – I’m convinced that if I did a blind test study, few people could tell the difference if they’ve used neither products before. If you’re a fan of Tata Harper’s cleanser, you should jump for joy as this can be had for just $22 for 6.75oz! Unfortunately for me, this just felt so heavy on my skin like I was coating it in moisturizer instead of cleansing my face. In fact the first time I used it, I felt like I hadn’t washed my face the entire day afterward and by the time I came home at the end of the day I had 3 pre-acne bumps on my forehead. Not a fit for me. Murad Anti-Aging Moisturizer SPF 20: In the spirit of being helpful, I decided to review this, otherwise I’d just leave a big resounding “ugh no.” This is called a light-weight acne moisturizer and I guess if you include Tea Tree Oil to your product, you can justify it. But the entire formula is laden with alcohol which ages and stripes skin (causing more oil production that leads to acne) and silicones which clog skin. Yes the texture is light, but you’d expect that from all the chemicals. The SPF power is only at 20, which is surprising considering all the sunscreen power comes from chemicals, so one would think they would at least bump this up to a SPF 30 to truly be of any use for daytime wear. Also, this contains retinyl palmitate which is the form of Vitamin A that dermatologists are advising should not be used in sunscreens. Overall, everything wrong with chemical sunscreens can be found in this product. Dr.Alkaitis Organic Soothing Gel: I like Dr. Saul Alkaitis, his products are priced fairly (although the cremes are on the high side for his line), and I like his philosophy that his products intuitively respond to individual skin type so his products are not sold by skin type. However this also makes buying things like choosing between his 4 masks extremely difficult as you have to look for indicator words to figure out what would be best for your skin. I digress, the Organic Soothing Gel earned a steady reputation in Spirit Beauty Lounge as a lightweight gel moisturizer that is really good for acne prone skin because of its anti-bacterial properties. The scent of the gel is similar to his line, herbal, strong, but not something you’d think was bad. The texture in my sample was a bit inconsistent, can anyone confirm if this product is supposed to be shaken first? The product came as very fluid at first and as I used more, it became more gel like and darker in color. So something was going on there. Unlike a lot of natural skincare products, there is an obvious amount of alcohol in this gel. It’s derived from organically grown grapes so it’s better than the typical alcohol that is used, but I wonder if a lower concentration would be possible. There are great ingredients to counter acne such as witch hazel, lavender, & fennel, but while I think it helped rather than hindered breakouts, I can’t say I would count on this for serious breakouts or to dramatically reduce flareups. Nonetheless, I would consider purchasing this as a light moisturizer that has additional benefits in discouraging acne, despite my reservations over it’s alcohol content and effectiveness in tackling breakouts. 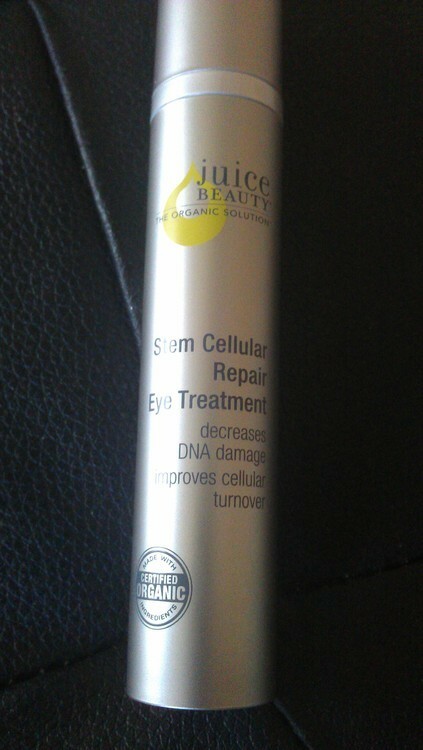 Juice Beauty Stem Cellular Repair Eye Treatment Review: Scientific Technology, Organic Innovation, Ultimate Results? I hope everyone on the East Coast is keeping safe from Sandy! When I was young, hurricane days were oddly something I looked forward to – my parents would both be home and we would eat all those canned foods that we never usually ate, and sit in a room together with lit candles as we told stories. 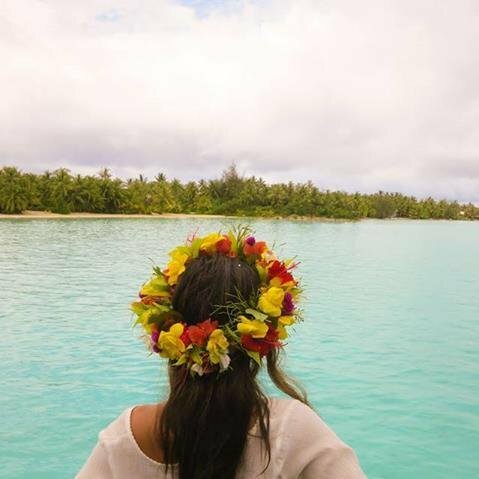 It was such a pleasant departure from the hustle of every day life. Today I got a break from school/work, and my boyfriend and I have spent all day watching a movie marathon (thank you Netflix!). I finally got some time to attend to my tumblr! Lately I’ve been trying out more clean brands and Juice Beauty is one I always heard of but never really paid attention to. From a branding point of view, they’re definitely the less cool sister to other mainstream brands like Ren and Jurlique, but upon investigating their ingredient lists, I was surprised to see how much cleaner and more innovative they are than the aforementioned brands. They’ve reformulated most products to not use phenoxyethanol, and in general their products are just more natural. 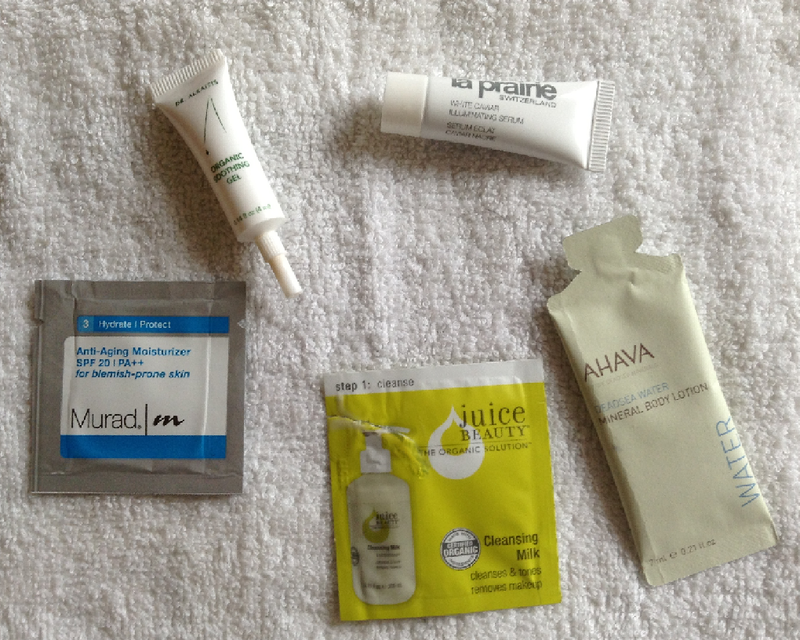 One product stood out to me, and that was the Stem Cellular Repair Eye Treatment. At $45 for .5 oz, it is right in line with similar offerings from Ren, Jurlique, and most other mid-high range lines. What made it stand out was that besides being clean, and natural, there was a clear focus on technology, namely, fruit stem cells. The main active in this serum is a proprietary blend of fruit stem cells and fat soluble Vitamin C which are said to reduce damage and fight dark circles and fine lines around the eyes. The rest of the ingredients are grouped into antioxidant rich juices and plant oils which are hydrating and improve skin. My eyes don’t have many issues, which I am thankful for, but I do have the hereditary dark circles and want a product more for preventative purposes so this seemed perfect. Overall I thought it was fairly clean, although those with sensitivities to citrus oils and extracts may need to think twice since lemon bark stem cells, lemon bark extract, and lemon juice rank pretty high on the list. The list provides a lot of wonderful botanicals such as Jojoba seed oil, Evening Primrose Oil, Borage Seed Oil, and the fruit juices. What will make the difference to a buyer between buying and not buying this product will ultimately be personal belief in the power of fruit stem cells. There are many scientists who say that stem cells only have power over similar cells, as such only animal stem cells can have any impact on our skin on a cellular level. Personally, I’ve seen decent results. Thanks to the rich plant oils and Organic shea butter, I felt like this product was very hydrating and made me under eye area feel moisturized and silky. Some products often dry out my under eye area which only makes the finest of lines even more pronounced, which I really do not like. I’m not sure if it is the magic of stem cells or the overall wonderful formulation but I do see some brightening in my skin. It could be due to the Vitamin C which is known to brighten skin but I’d like to believe that the stem cells made some difference. Overall, I felt this was a very comfortable eye serum that moisturized, didn’t sting, didn’t dry out, and didn’t make my eye feel “stretched” like how some firming eye treatments can do. My only issue, ever so minor, is the applicator. At first I liked it since I read that our fingers can often be too rough or pull the sensitive skin under the eye area but this applicator was a little bit heavy handed since the serum deposits at the very top, so product often winds up in the lashes! I’ve since then learned to squeeze out beforehand and dab it onto my under eye area using my fingers, and then using the applicator to smooth it out. When it comes to natural eye products, what are your favorites? Have you had any experiences with botanical stem cells? Let me know!